When the PIR sensor detects human movement, the alarm will sound to alert you that a potential intruder in your home. The PIR motion sensor alarm default security code is 0000. Every time the batteries are replaced, the security code is set to default. To change the security code enter the old number, for example 0000, followed by the * key. You will hear a long BEEP which confirms that you have entered the correct code. Now enter the secret code (1-12 digits) followed by * key. You will hear another long BEEP to confirm the code is changed sucessfully. Turn ON the alarm by entering the 4 digits security code followed by the # key. The red LED will be lit for about 10 seconds, indicating the alarm is turned ON. Turn OFF the alarm by entering the 4 digits security code followed by the # key, the red LED will flash, indicating the larm is turned OFF. If the selector switch is set to CHIME, a DING DONG sound will be produced every time when the movement is detected. To turn off this continuous detection, enter the code followed by #. If the selector switch is set to INSTANT, a loud ALARM will be produced immediately after movement detected. The alarm will last for 30 seconds. To temporarily switch off this Loud Alarm, enter the code followed by #. To permanently switch off this loud ALARM, enter the code again followed by #. If the selector switch is set to DELAY, a soft BEEP-BEEP sound is produced for about 12 seconds. You can switch off the alarm by entering the 4 digit security code during this period, and followed by #. If not switched off, the LOUD ALARM will sound. To temporarily switch off the LOUD ALARM, enter the code and followed by #. To permanently switch off the LOUD ALARM, enter the code again followed by #. When the red PANIC button is pressed, the LOUD ALARM will sound for 30 seconds. To stop the LOUD ALARM, enter the 4 digit security code. 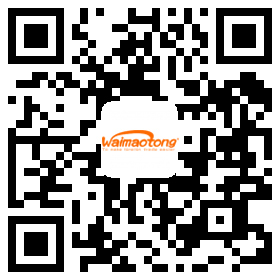 Company Name:NINGBO HAISHU KAIAU ELECTRONICS CO., LTD.